Medium to large sized oakleaf has double petals and can be confused with snowflake. However, this variety grows larger and just wider but has slightly smaller blooms and larger leaves. The wide panicles turn crimson red while the leaves turn deep red. 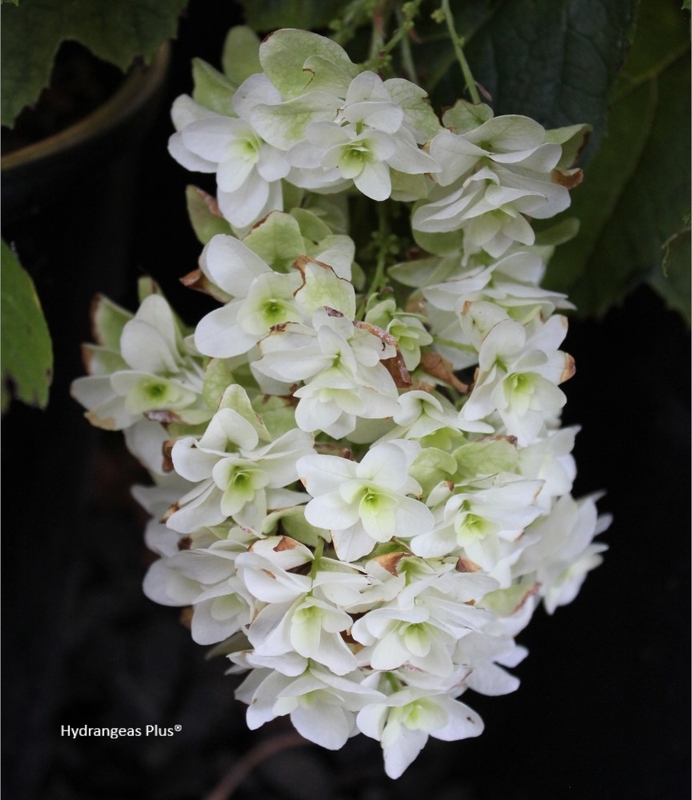 We love this one for consistent showy blooms.